A recent project Dajon undertook for clients Mr & Mrs Horwood has been featured in the national Build-It Magazine. The design team at Dajon managed to design an ex-display Schuller kitchen into the new kitchen space. Recommended to Dajon Interiors from previous clients Mr and Mrs S purchased this beautiful master bathroom featuring furniture from Ambiance Bain, Luxury bath from Adamsez and digital shower and bath filler from Aqualisa. 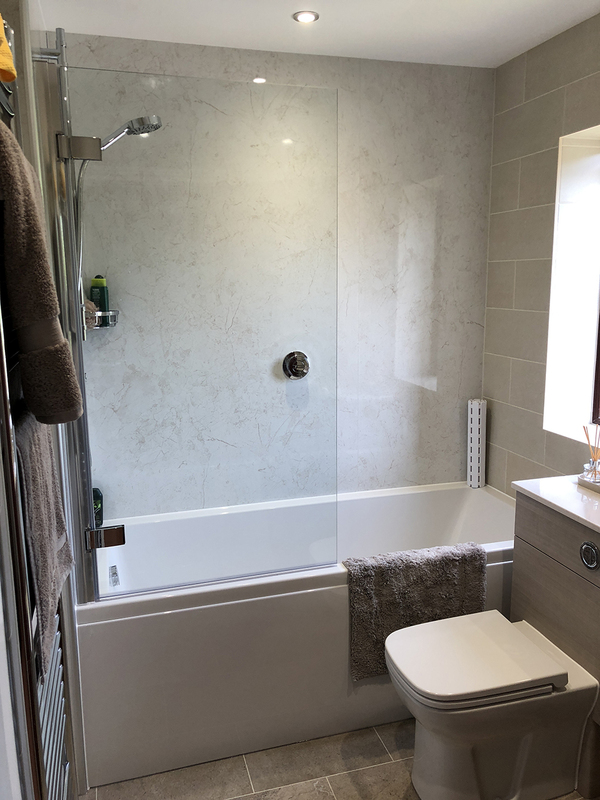 This fitted bathroom now boasts the latest 100% waterproof and easy clean shower panels which creates a modern clean look. The Karndean flooring completes the look complementing the furniture and wall panels. Our employed installation team under took all of the required works from start to finish, another first class job by Dajon! Even the smallest of rooms can look elegant and be designed to accommodate practical storage solutions. Have your bathroom designed and installed by Dajon's team of time served experts. Call 01452 332 336 to book a free consultation. 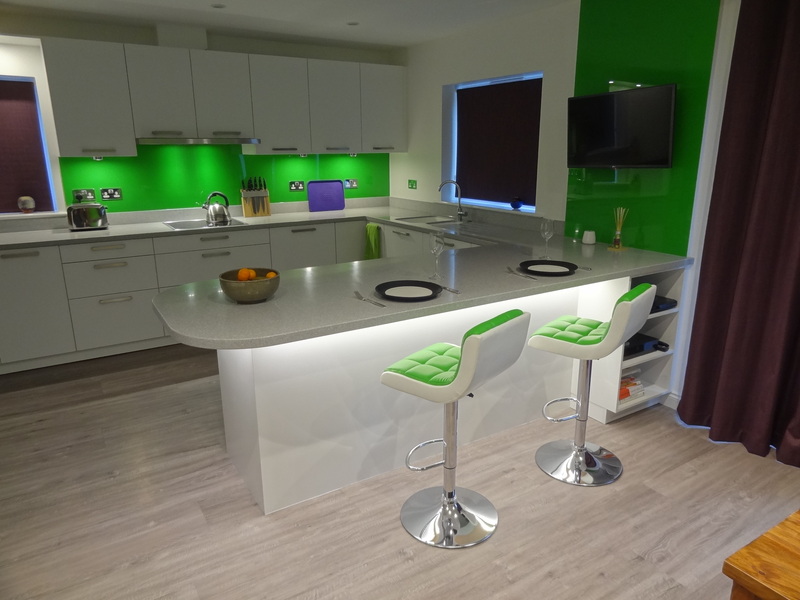 Our client from Bristol has kindly sent photos of their new kitchen to us and we think its beautiful! This untouched kitchen from the 70's has been transformed into a contemporary space that is packed full of features. We are extremely proud to have one of our kitchen installations featured in the Your Home magazine, April 2018 edition. This beautiful property near Stroud now boasts a classical kitchen with a contemporary twist. Using modern features such as curved doors, stainless steel plinths and solid surface worktops this timeless classic will please for years to come. 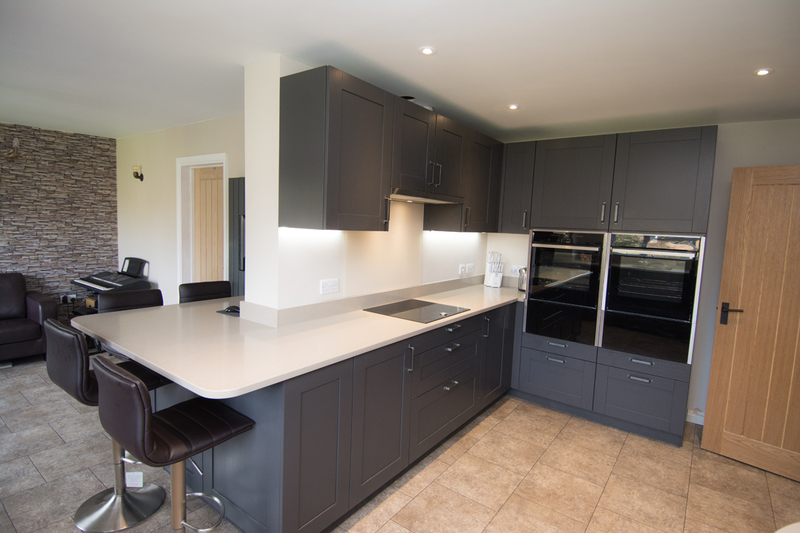 The kitchen design was undertaken by our in house designer, Barry Richards, who worked closely with the clients and their contractors to produce a elegant practical design. 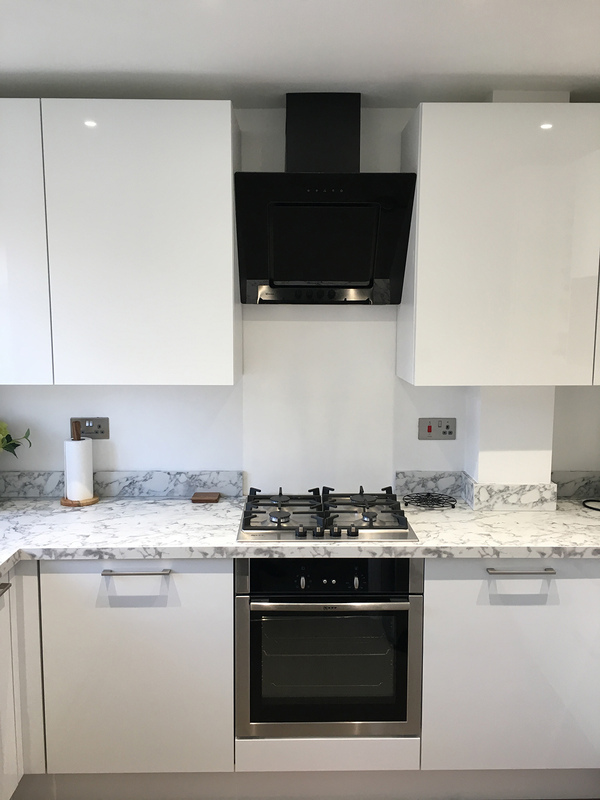 Our in-house installation team then undertook the kitchen installation consulting with both the client and the contractor. The result is a beautifully designed kitchen that has been installed to the highest standard. Tucked away in Shurdington is a beautiful detached property that now boasts a new vibrant kitchen and utility. It is always a pleasure to design a kitchen that embraces a colour palette. Mr & Mrs R selected Dajon to design, supply and install their new kitchen and utility after we successfully completed the renovation of their master bathroom. Although the foot print had to remain similar to the previous kitchen we were able to pack the new kitchen with clever storage solutions, design innovation and unique products. Some of the main design features include High quality German manufactured kitchen cabinetsBespoke TV wall panel allowing for hidden cables Bespoke solid surface worktops with up-stands fabricated in one pieceAcrylic back panels in Spring GreenIntegrated Neff appliancesKarndean Loose Lay flooringIntegrated waste sorting solutions The client also benefited from Dajons employed installation service. Our dedicated installers undertook the works from start to finish to a high uncompromising standard. If you are looking to revamp your kitchen, bathroom or bedroom this year, why not pop into our showroom on Finlay Road, Gloucester and discover a range of quality products and a friendly team of designers. 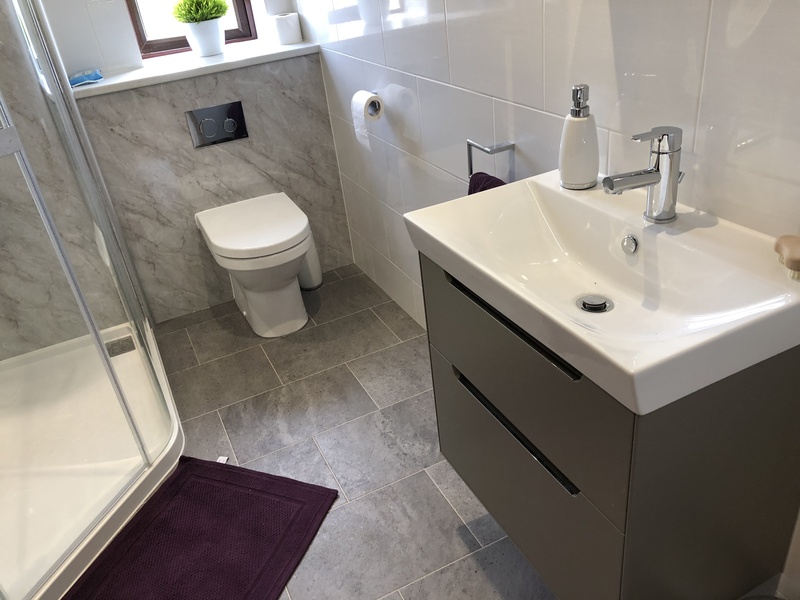 Welcome to our blog where you can discover kitchen, bathroom and bedroom projects designed and installed by Dajon Interiors within Gloucestershire and the Cotswolds. Gain inspiration for your own project. Don't forget that with Dajons installation service all works can be undertake and project managed including building work, central heating and boliers aswell as plastering and electrics.